Looking for an excellent way to finish off your workout routine and achieve a maximum state of fatigue that will lend to optimal results? Look no further than my kettlebell finishers. Kettlebell training has become incredibly popular over the last few years and for good reason: it works. More and more people are jumping on the bandwagon and if you have not yet had the chance to check out this workout, now is the time. Let’s take a closer look into what these kettlebell finishers are all about so that you can see why they are a must-do before you walk out of the gym. So what makes kettlebell training so unique and important to use as a finishing technique? 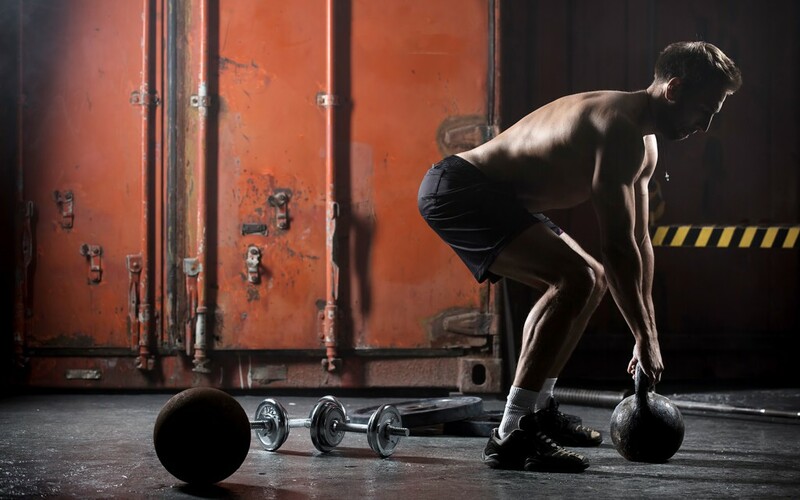 Let takes a look at the top 3 reasons you should kettlebell if you want muscle growth, fat loss and strength endurance. 1. Kettlebell training is excellent for building massive amounts of power. Much of the kettlebell exercises you perform will involve hoisting the kettlebell up over your head, which demands a certain level of explosiveness that you don’t otherwise get with regular dumbbell or barbell training. This means greater power generation capacity, which turns you into a better athlete. 2. Kettlebell exercises do incorporate so many muscle groups all within the single exercise, you’ll get a serious metabolic response. You’ll not only burn loads of calories while the exercise is being performed, but continue to burn plenty of calories for hours after the session is completed. If you want to get strong and lean, kettlebell training can help you do just that. 3. Finally, kettlebell training can also help boost muscular endurance as well. Depending on how you structure your rep and rest scheme while doing these finishers, you can train your body how to work through fatigue, carrying on for longer than it normally would. The end result is that you will build a high level of muscle endurance that will help you out significantly when you go back to your regular training again, performing straightforward exercises with rest in between. You’ll be able to complete more total reps before resting, leading to better progression. Pretty impressive for a single kettlebell, right? Check out this workout, grab your kettlebell and add this to the end of your training session tomorrow. Perform each exercise one after the other for the prescribed reps with no rest in between. Use this finisher circuit after your main workout or training session. This entry was posted in Challenges, Circuits, Exercises, KBELL Fighter Workout Series, Kettlebell Workouts, Workouts and tagged Kettlebell, Kettlebell Finishers. Bookmark the permalink.